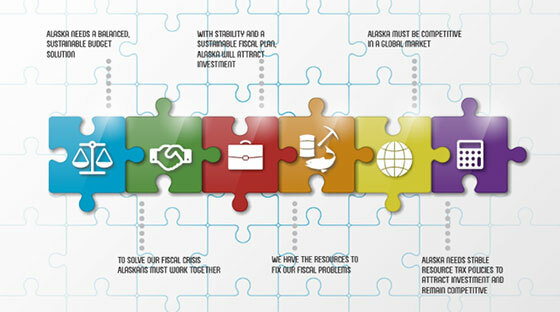 Alaska’s fiscal situation is quite the puzzle, one that requires some tough choices and even bolder action. 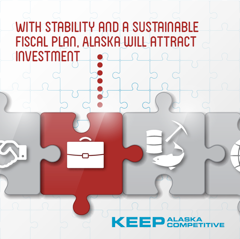 KEEP is introducing a new graphic element that encourages our legislators to piece together a solution that will resolve our fiscal problems and provide for future generations. House Resources is back in action reviewing HB111, the latest round of oil tax legislation. Hearings are taking place throughout this week, and public testimony is anticipated to open as early as next week. Instead of yet again threatening to raise taxes on the oil industry, we should be marketing Alaska’s attributes so we can attract more investment. Please feel free to reach out to members of the House Resources Committee anytime regarding this bill. You can contact them using the links below. You can watch the hearings on 360 North. ICYMI: Alaska Teamsters’ & KEEP founding member Rick Boyles took Robin Brena to task over his recent testimony to the legislature, while respected aviator Orin Seybert says it’s time for all Alaska to pay their share. “I think all of us would be glad to help shoulder the burden, to assure maintaining a proper level of services without drastically reducing jobs or our way of life. Click here to read Boyle's letter. Click here to read Orin Seybert’s letter to the ADN.